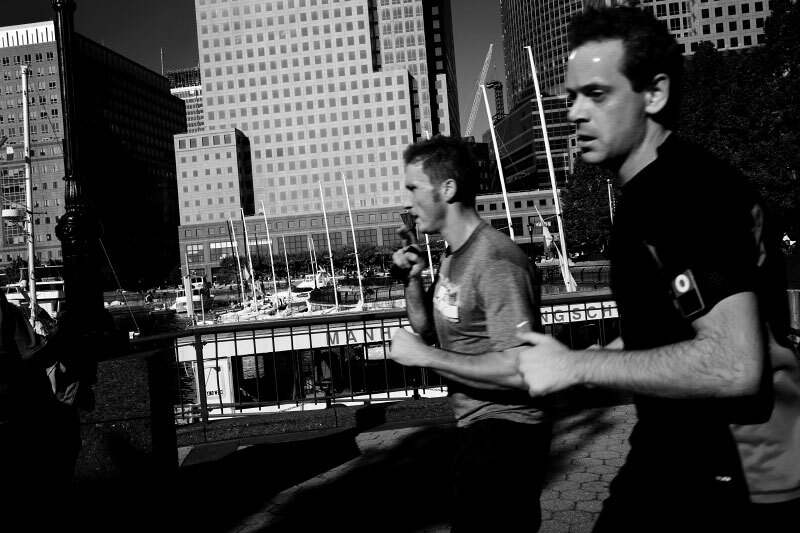 Men jog along North Cove Yacht harbor at the area of Battery Park City and the World Financial Center whose residents are upper-middle or upper class people, and that well-known corporations, such as American Express, Merrill Lynch, etc, are tenants at the commercial complex. Meanwhile many start to worry and fear about their future, as the current economic crisis, which already forced Lehman Brothers to file for bankruptcy and made Merrill Lynch sold to Bank of America in a deal worth $50 bn, seems to more expand. New York, Oct 11 2008.